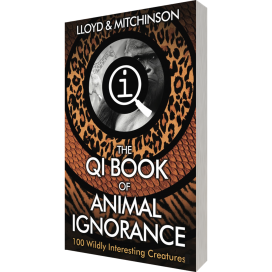 An indispensable compendium of popular misconceptions, misunderstandings and common mistakes culled from the hit BBC show, QI. Perfect for trivia, pub quiz and general knowledge enthusiasts. 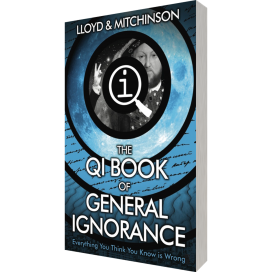 The QI team sets out again to show you that a lot of what you think you know is wrong. The essential set text for everyone who's proud to admit that they don't know everything, and an ideal stick with which to beat people who think they do. 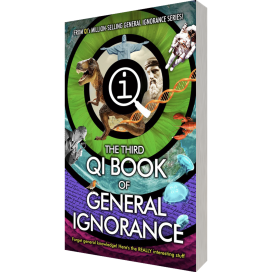 The Third Book of General ignorance gathers together 180 more questions to which the answers all seem perfectly obvious. 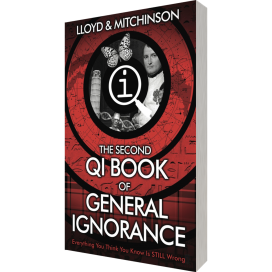 Some have appeared in the BBC TV programme's 'General Ignorance' round, but many appear here for the first time. What they prove, beyond all reasonable doubt, is that none of us know anything at all. The largest pyramid isn't in Egypt, he Nile isn't the world's longest river, the Himalayas aren't the longest mountain range, 'Jingle Bells' wasn't written for Christmas, whalebone isn't made of whale bone, most deserts aren't made from sand the ozone layer isn't made of ozone cowboys didn't wear Stetsons, and not all fish live in water. Listen and learn! 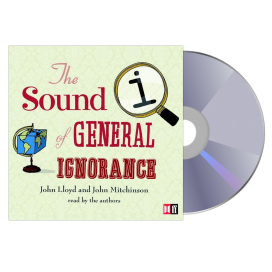 The Sound of General Ignorance brings you all the best bits of the number one best seller The Book of General Ignorance in handy audio form. Read by the authors, John Lloyd and John Mitchinson. 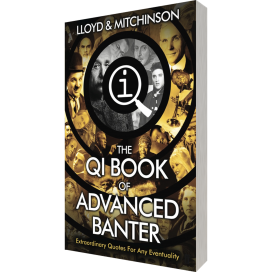 The ultimate compendium of crisp one-liners, knockout jokes, droll asides and universal truths collected over the years by the creators of QI. A biographical dictionary with a twist - one where only the most interesting people made it in! 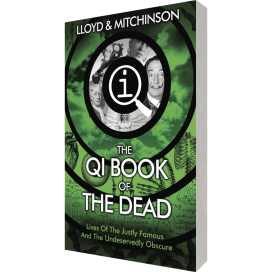 QI have got together six dozen of the happiest, saddest, maddest and most successful men and women from history. Celebrate their wisdom, learn from their mistakes and marvel at their bad taste in clothes. Hans Christian Anderson was terrified of naked women, Florence Nightingale spent her last fifty years in bed, Sigmund Freud smoked twenty cigars a day, Catherine de Medici applied a daily face mask made of pigeon dung, Rembrandt van Rijn died penniless and Madame Mao banned cicadas, rustling noises and pianos.